“For countless millennia, the alien Sidhe have lurked in the corners of our vision… enchanting the unwary with dark magic and tempting the foolish with empty promises of wealth and glory. Théans have rightly learned to fear their cold beauty. But some things are so terrible as to frighten even them. Now, learn the secrets of the mysterious Goodly Folke… and face the unspeakable horror of their outcast cousins. 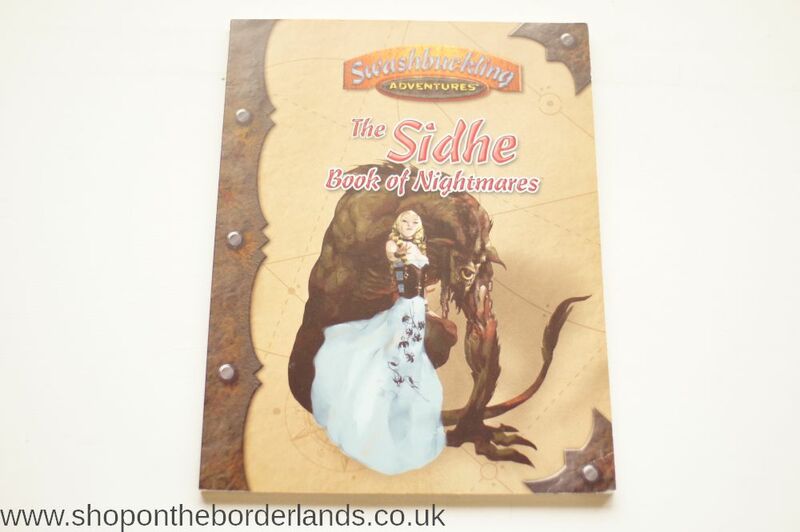 Sidhe and the Book of Nightmares contains everything you need to face the Goodly Folke and come away with your soul intact. 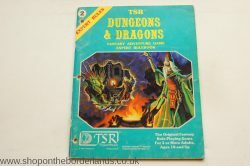 Numerous Sidhe creatures for use in any campaign… from the heartless nobles of the Seelie court to the fantastic nightmares of the Unseelie Host. A thorough description of Sidhe life and culture, plus background on their timeless kingdom of Bryn Bresail. Expanded rules for playing Sidhe characters. 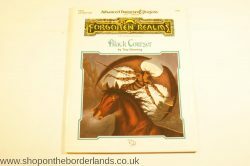 Black Courser (FRA2), Forgotten Realms adventure for AD&D 2nd ed.